Marc Chesley is a problem solver. He believes in helping entrepreneurs succeed through the use of technology. Described as the guy in high school with long rock star hair and a guitar on his back, he could be found at the record store memorizing sheet music. 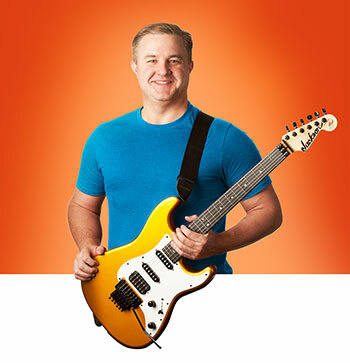 As a self-described geek, Marc is an attorney and loves to play and collect guitars. His office looks like a mix between a professional sound studio and technology play lab. Marc is the former CEO of Lavu, the leading iPad point-of-sale platform for successful restaurants. Marc also serves as a mentor and coach. His goal is to build leaders. His method is to get people uncomfortable because only at that point can you reach your potential to change yourself and the world. Marc is also a cloud computing and agile development leader, with multiple certifications in Pragmatic Marketing and SCRUM. He has a knack for translating vision and design into tangible products that help entrepreneurs succeed. Prior to Lavu, Marc was the CTO of Infusionsoft for 10 years helping the company scale from startup to $100MM in annual revenue. Marc led the $54.4MM Series C funding transaction between Infusionsoft and Goldman Sachs, and the $55MM Series D funding transaction with Bain Capital Ventures. He founded, grew and successfully sold a computer and networking services company. He’s held executive positions for WinForce Technologies and IT Partners. As an attorney, he focused on venture capital financing, and mergers and acquisitions. He was named the 2013 Arizona CIO of The Year by the Phoenix Business Journal and Arizona Technology Council. He also was named the 2012 Arizona IT Leader of the Year by the Society of Information Management (SIM). He has a Juris Doctor from Brigham Young University and a B.A. in Philosophy from Arizona State University. He is a member of the University of Arizona Eller College of Management advisory board, and the Arizona State University, W.P. Carey School of Business, Department of Information Systems Executive Advisory Board. He is happily married to his wife Deanna and has four amazing daughters. You can find him on Twitter or Facebook.